BOSTON, MA – Rev. Dr. Eugen J. Pentiuc has been appointed the first Archbishop Demetrios Professor of Biblical Studies and Christian Origins at Holy Cross Greek Orthodox School of Theology, effective July 1. 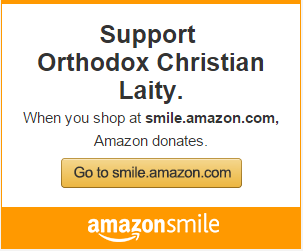 The Jaharis Family Foundation has funded the position in honor of His Eminence Archbishop Demetrios, Geron of America, with a gift of $2.0 million dollars some years ago. Fr. Pentiuc joined the Holy Cross faculty in 1998 and he is a prolific author currently under contract with Oxford University Press for a book titled Hearing and Seeing the Scriptures: Liturgical Exegesis of the Old Testament in Eastern Orthodox Tradition. Regarding his thoughts about where Christ was born, lived, was crucified and resurrected, he said “in 1984-88 I did my biblical studies at Ecole Biblique, the famous biblical school founded by Pere Lagrange who came to Jerusalem with a burning desire to study the Bible in its original matrix. Ecole Biblique later on produced The Jerusalem Bible, the first Study Bible (a Bible with comments in the footnotes) combining the patristic exegesis with archeological findings and literary studies: a great, well-balanced mix of tradition and modernity. “Since my years of study, I came regularly to Jerusalem to my dear alma mater to do research. 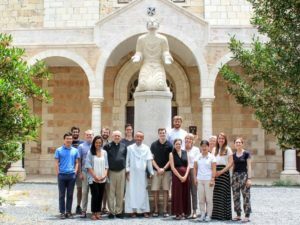 This summer I came to teach a class “In the Footsteps of Jesus” together with two professors from Ecole for the BTI students including the Holy Cross. 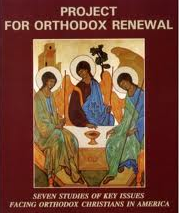 Now, I am doing some reading for a new book under contract with Oxford University Press, Hearing and Seeing the Scriptures: Liturgical Exegesis of the Old Testament in Eastern Orthodox Tradition. Previous ArticleTwo Leading National, International Pro-Life Organizations Helping ZOE for Life!